A guide to the GW2 Dragon Ball mini game introduced with the Lunar New Year in 2015. This is identical to the Dragon Ball from Dragon Bash back in 2013. Updated for 2018. 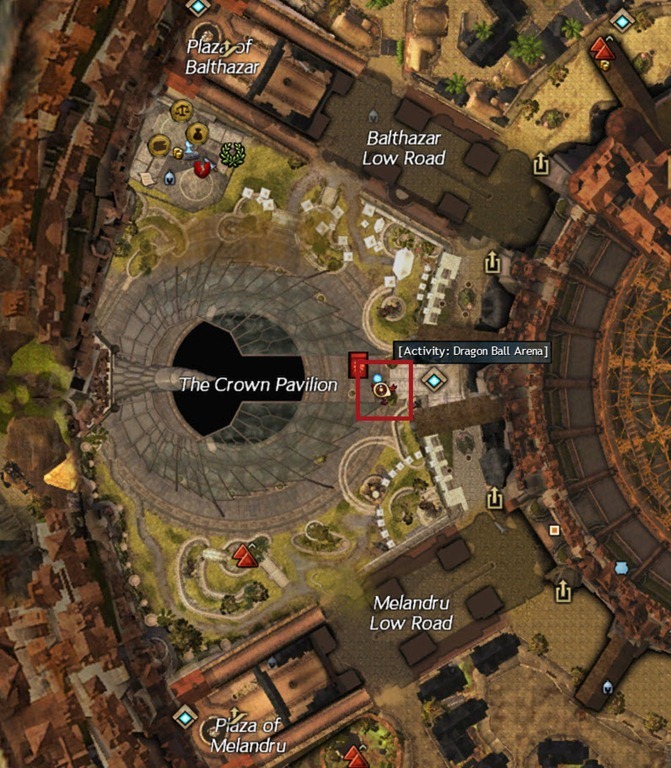 To play Dragon Ball, talk to Finolla in Crown Pavilion of Divinity’s Reach to get this game started. All players receive a speed buff and there are no falling damage. 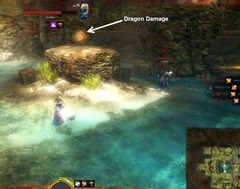 When you take damage, you do not regen health over time and must collect health orbs (blue) to heal up. You start off with just one skill and must collect power ups (orange orbs) to gain additional abilities. These orbs are specific and only grant you with certain skills (see table below). Each match can be expected to last for 5 minutes usually. Use the bouncy pads to move around. These pads are directional (i.e. it will bounce in the direction you are moving) and if you dodge roll onto these pads they will bounce you up further. 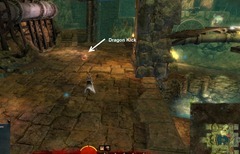 Power Ups are located in specific locations on the map. 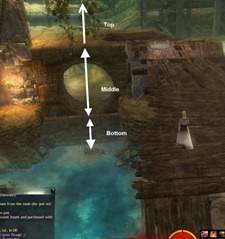 Since there are roughly three vertical levels to this map, it is divided into top, middle and bottom. If you take a cross section of the map, this becomes more clear. Any power ups located on top of the tunnel or on the planks above are classified as top. Any power ups located inside the tunnel are classified as middle and any power ups on near the water level are classified as bottom. 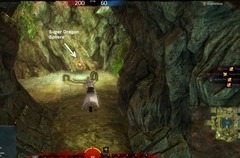 #: On the very bottom level of the map smack in the middle is the Dragon Damage power up (marked as #). Consuming this power up will grant you 60 damage per attack instead of 15 damage for a few seconds. 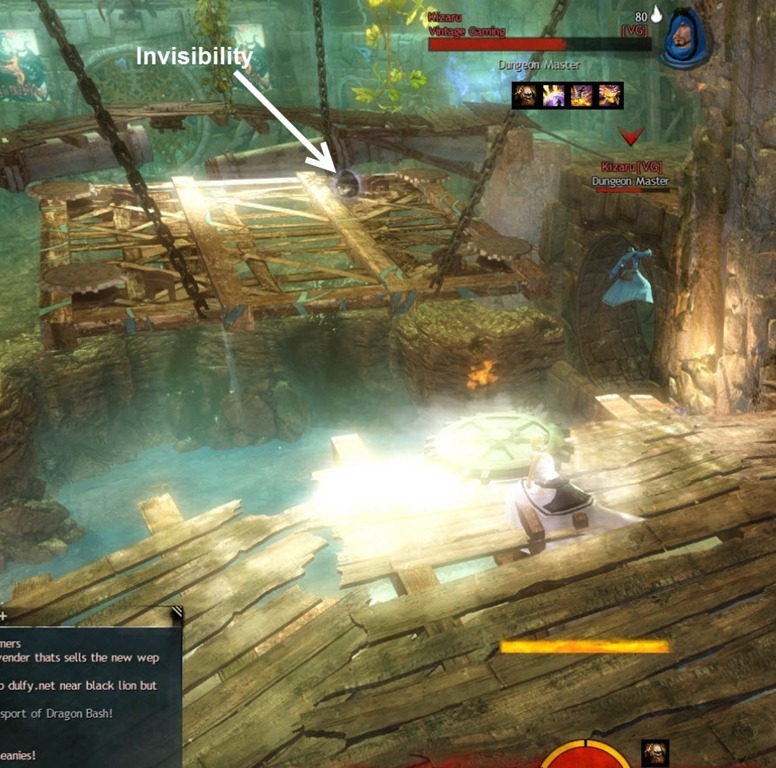 In the same location but on the top level is the power up that will grant you invisibility. 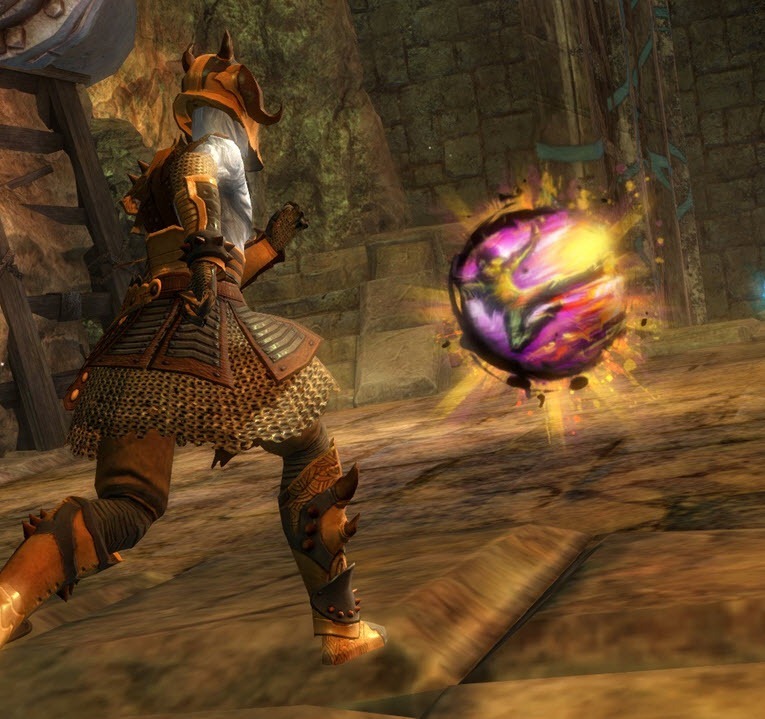 1: These are Super Dragon Spheres with increased ranged and faster hits compared to the normal Dragon Spheres. You can find them in four corners of the map inside the tunnels usually next to the jump pad. 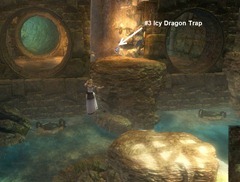 2: Dragon Bombs are located on the top level above the tunnels. Much like the Super Dragon Spheres, they are also located on the four sections of the room. 3: These power ups for the Icy Dragon Trap are located between the two tunnel entrances on either side of the map. 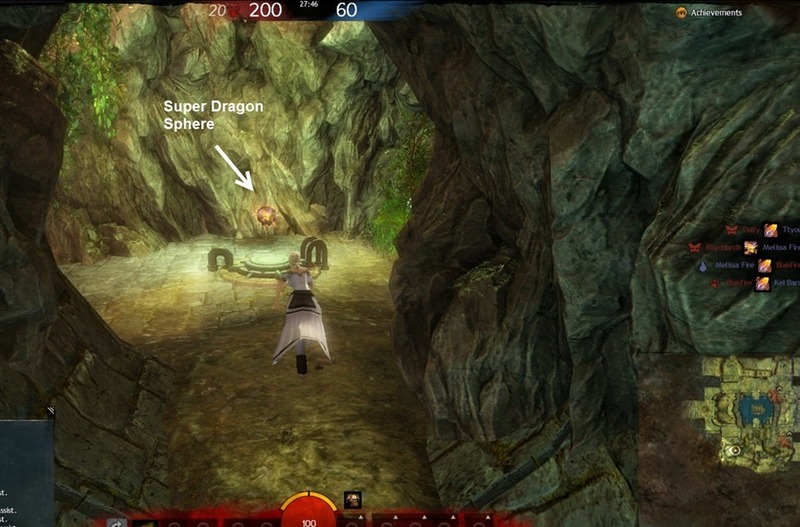 4&5: These orbs are located in roughly the same location but #4 is located on top of the tunnels while #5 (Dragon Stomp) is inside the tunnels. There are no rewards for playing the match, but there are achievements that rewards envelopes. Win 10 games of Dragonball. This can be repeatedly infinitely and each time you get Coffers that grant you tokens to buy more lucky envelopes than the daily max. 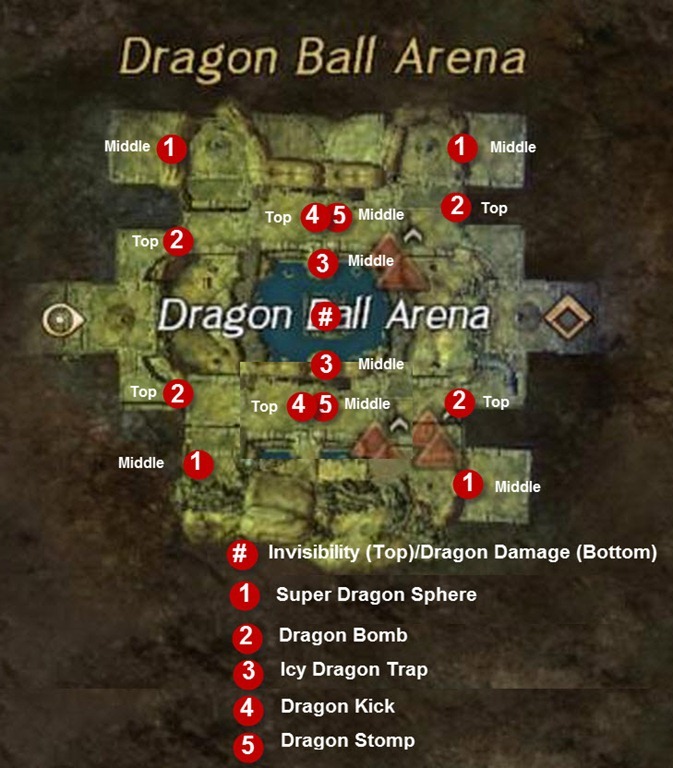 Gain 5 Invisibility Power-ups (marked as # on the map) in the Dragon Ball arena. 8 Little Lucky Envelopes per completion. Interrupt 8 skills (using #4 skill Dragon Kick) in the Dragon Ball arena. 8 Little Lucky Envelopes per completion. Gain 8888 HP (running through blue orbs) while in the Dragon Ball arena. 8 Little Lucky Envelopes per completion. 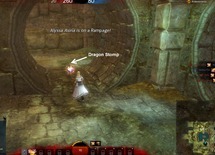 Gain 4 Dragon Damage power-up (marked as # on the map) in the Dragon Ball arena. 8 Little Lucky Envelopes per completion. I don’t get it. 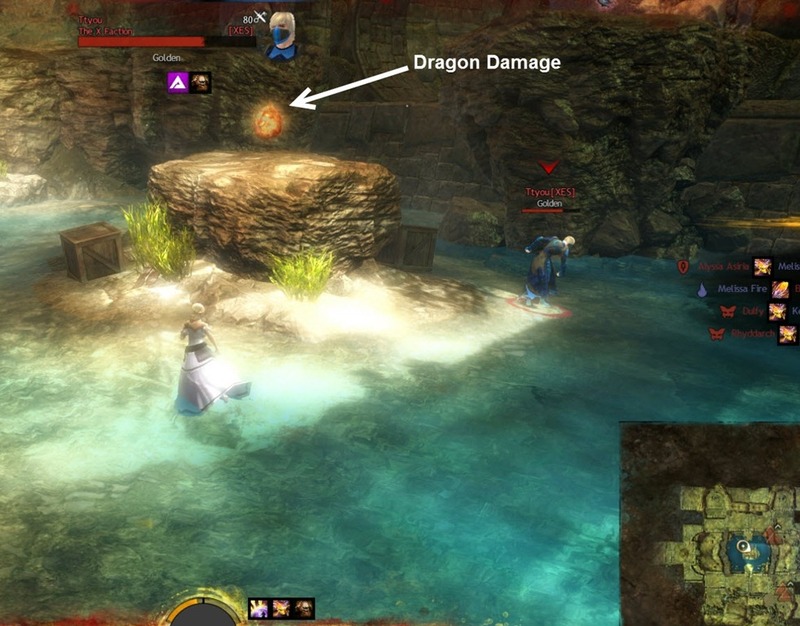 I tried it but my damage is extremely low compared to others, they kill me in 3 o 4 hits… Is this normal? 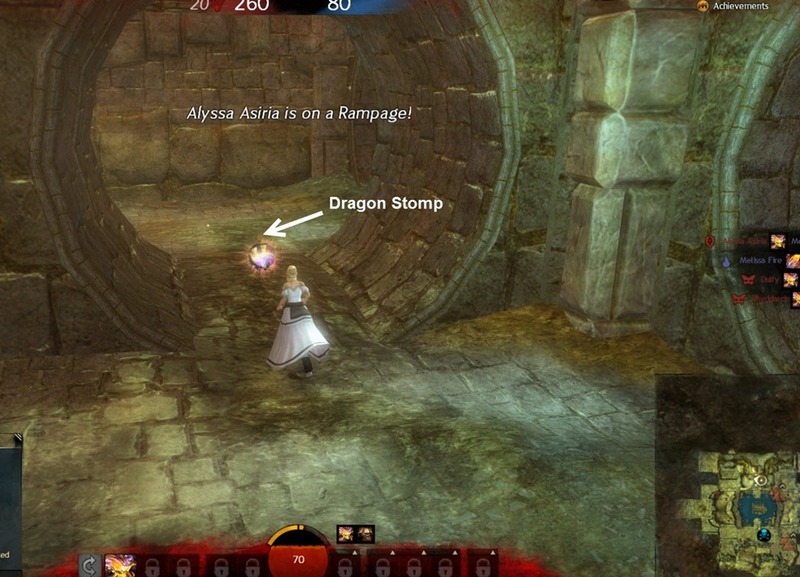 You need to pick up power-ups(those glowing balls).They boost damg. I had mine accidentely on and noticed when you are hit you are immediately healed up again..
the exploit is funny… you get heal 88hp every second, and you have 100 hp so you can’t die at all. I’ll never understand why this game refuses you to enter team based competition with your team. 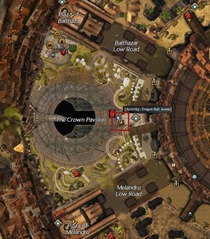 Wintersday Capture the Flag Esque game would have been a blast with a group of guildies. This looks like it would be just as much fun, but yet it’s random 5v5 teams ( ._.) C’mon Man! Heyo! Was chatting with some people and noticed that the points per kill is actually 20pts rather than the 15pts you have listed. How did they manage to name it this without a lawsuit from Funamation? Because it very clearly falls under the ‘parody’ section of the ‘fair use’ clause. The only thing similar between this and Huttball from SWOTR is the use of the word ‘ball’ in a PvP match type. If that was copy-writable, I’m pretty sure Grifball from Halo would have first dibs. Is there is a way to get in the same dragonball team as your party member/friend? You mean Dragon Ball Champion token farming ? Actually, no, we would probably not be that GREAT, but we could chat about our and opposite team over skype and just generally have more fun, although in the end we still managed to have quite a laugh together while playing in different games. 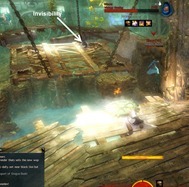 Besides, I just think it’s similar to pvp, and if it’s not bad thing to team up there, why can’t you do it in mini-games? If it is similar to the other mini games, you can try joining at the exact same time. That worked for me in other mini games. So Dragon’s Breath spawns at 27.20 timer mark. 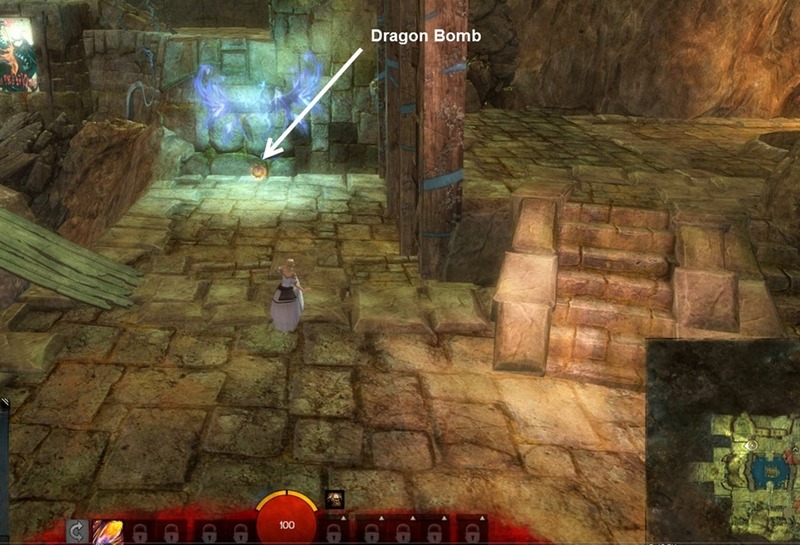 Whats Dragon’s Shadow spawn timer? And which spells i can interrupt with kick? Dragon Gaze only 20 this year. Thank goodness. And does not look like AP is given for wins. Yay about Dragon’s Gaze being only 20 this year! I swear, I spent so much time last year maxing that achieve. >.< With 10 days of Lunar Festival, if you do the Dragon Ball Boss daily every day you'll get all 50 matches for the max AP too. Nicely designed. Mine only shows 10 total AP available.